Right Lights UK are proud to exclusively offer the full fossLED EX range. 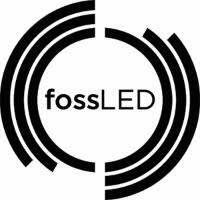 The fossLED EX range is designed and produced in Barcelona, Spain, and offers architectural and commercial lighting to the highest European standards. Our luminaires feature only the best in branded components, 5 Years extended European manufacturers warranty on all EX products upon application. fossLED pride themselves on their flexibility and offer a range of multiple product variations to suit a host of product requirements, if you wish to discuss a product customization or modification we will be happy to help.